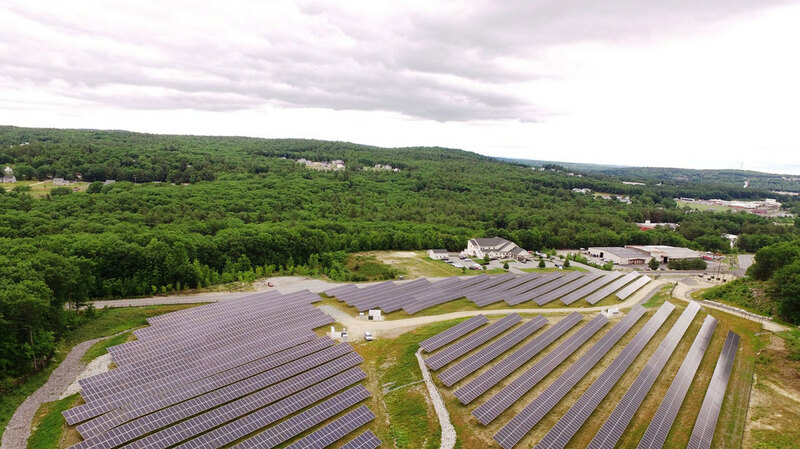 Theodore Drive Solar is comprised of three seperate arrays, located on adjacent parcels of land along an industrial drive in Westminster, MA. The land had previously been an equipment staging and storage area for a nearby sand and gravel quarry, but will now serve as a source of renewable energy generation for the next 25+ years.Half of the generation at each parcel will go to benefit a different large energy user in the area: Jiminy Peak Mountain Resort, Worcester Academy or UMass Memorial Health Care. These savings will help these businesses and institutions to spend less on facility operation, and focus more on delivering superior service to their respective patrons.The remainder of the project generation will be allocated to 60+ local residents, small businesses and non-profits through Nexamp's Solarize My Bill community solar program. All told, Theodore Drive solar will return more than $1.5 million in electricity savings to the community, all by generating clean energy from the sun. Worcester Academy and UMass Memorial Health Care.